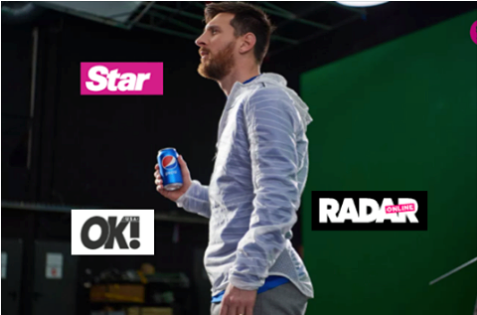 The five time Best Player of the Year, Leo Messi takes a break during his Pepsi ad campaign photoshoot and it’s all over celeb news! Proudly sporting his Pepsi can he’s been featured online on OK! magazine, Radar Online, and Star Magazine.